Where did that cleft chin come from? After our daughter was born, my wife and I looked at her features and could see that some came from my side of the family and others from hers. But neither of us had a cleft chin, nor did our parents or grandparents. Looking back at family photos we realized we each had a great-grandparent with a cleft chin. It was great fun to look back at these photos and see how traits had been passed along. 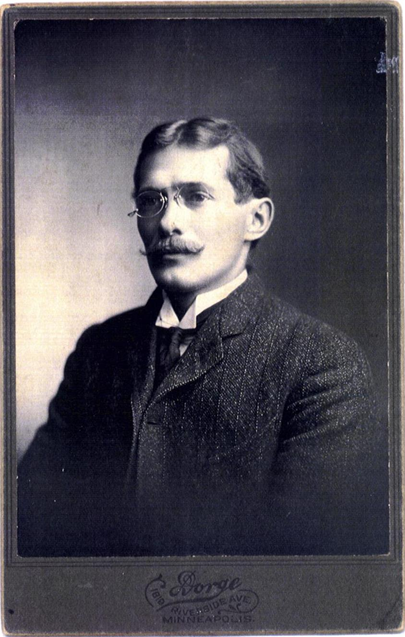 For me there are few thrills in genealogy like finding the image of an ancestor. Not only can family resemblances be observed, but there is also great satisfaction in putting a face with a name that you've been researching for years. Early on in my research, I made it a priority to track down as many photos of my ancestors as I could. Maybe I had an advantage, coming from a family where neither of my parents had any cousins. Thus, many artifacts filtered down to my immediate family. So after combing through shoe boxes from the basement and storage spaces, I found I had photos of all my four grandparents and my eight great grandparents. I had several photos of my great-great grandparents, but my goal was to find photos of all sixteen. Contacting all known relatives is your next move. I wrote to my grandparents' cousins asking if they had or knew of any photos of so and so. Often, I struck out. But occasionally, I hit the jackpot. In a few cases, they sent me copies, and I found I actually had the same photo, but mine was previously unidentified. In a couple cases, they were so relieved to find someone who actually cared about this old stuff that they sent me all the old photos they had and the family Bible to boot. 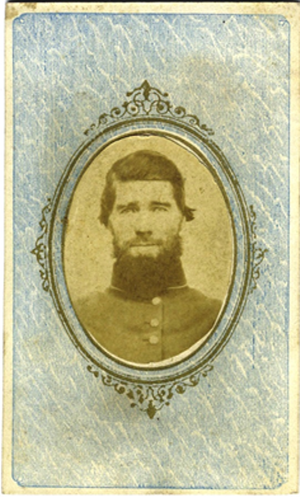 This was how I received a tintype of my great great grandfather, Joseph Rice Noel as well as a Carte de Visite of my third great grandfather, George W. Noel who had been taken prisoner during the Civil War and was never heard from again. I was getting closer to my goal. Next, find the family you haven't met yet. I looked at the lines where I didn't have any living contacts and I was missing photos, and I traced them down to living relatives using obituaries and phone directories. I focused on lines like mine which had smaller families where the photos were more likely to be consolidated with one keeper of the family history. When I reached out, sometimes I got no response. But again, other times folks were excited to meet "new" family and to see what I had to share. 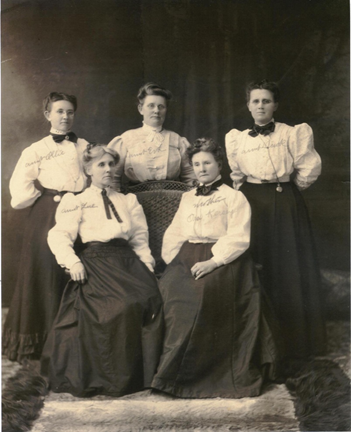 One new cousin shared a photo of my great great grandmother, Flora Estelle (Murphy) Davis with her four sisters as well as a photo of the covered bridge her father had helped build. Nowadays, there are many ways to make connections on-line. Back in 2002, I left a message on a Rootsweb.com message board regarding my Norwegian ancestors. A couple years later, I heard from a distant cousin in Denmark who had come across my posting. We started to exchange information and pictures, and it turned out that we not only had some of the same photos, but he also had photos of my ancestors which had been taken in taken in America and had been sent back to family in Scandinavia. These photos were new to me, and he shared a photo of my fourth great grandparents as well! Getting your name on message boards as a researcher of such and such a family increases your opportunities for collaboration like this. DeadFred.com and AncientFaces.com are two websites that you'll want to check. Both of these websites allow you to upload old photos. Some folks post photos of family members, and others will post photos that aren't of their own family members but ones that need a home. I've posted labeled photos of neighbors or friends of my ancestors that have been passed down in the family to me in hopes that I can reunite them with descendants. Some Good Samaritans will purchase old labeled photos in antique stores or flea markets and then post them on these websites in hopes of reuniting them with descendants who would love to have them. Both websites allow you to sign up for newsletters which list recently posted photos. You never know when your ancestor's photo might be posted. Ebay.com can also be a place to look for photos and family artifacts that are for sale. If you register as a user, you can set up "Saved Searches." I have done this for some of the more unusual names in my family and will receive an e-mail notification whenever an item is posted that contains that name. You probably don't want to do this for your "Smith" or "Johnson" relatives or your inbox will overflow, but it works well for uncommon names. I had a search like this set up for one of my surnames for several years without getting anything. Then a couple months ago someone posted a collection of photos they had bought in an antique store. They weren't for my line of the family, but I alerted a cousin of mine who was thrilled to learn of them and bought every one. Similarly, Google Alerts can be set up so when something new appears on the web that contains your keyword, you'll be sent a notification. Again, this works best for unusual names. Mocavo.com, the new genealogy search engine, is another tool to use in your search. Archives and libraries often maintain collections of historical images and more and more are posting the images on-line or at least have references to the images in their on-line catalog. Check the area where your family lived for public libraries, historical society libraries, and university archives to see what they have available. If their catalog is not on-line you may need to contact a librarian or archivist to see what they have. They may have access to indexes or card files that aren't yet available on the Internet. Also, county, township, or city histories often contain galleries of local folks who were prominent or willing to pay to have their images included. Over twenty years ago, I read in a local history about the existence of a painting of my fifth great grandmother who was born in 1734. As of the 1930s, the painting had been passed down in a line of the family that still lived in Virginia. So I googled and tried every trick I could think of to see if the painting still existed. I checked with the Virginia Historical Society and they didn't have it. But I didn't give up. About a year ago, I checked with them again, and in the meantime, the family had donated it to the society. And with it were paintings of more members of the family covering three generations! Never give up. Another branch of my family was not wealthy but counted several artists in its number. A university library had a sketch of my fifth great grandfather from the late 1700s and a photo of a statuette of his father that would have been from the mid 1700s. These are images I never dreamt I'd find. Today, I have images of all sixteen great great grandparents, fourteen of my third great grandparents, and a smattering of images of my fourth, fifth, and sixth great grandparents. Of course, I also have photos of people who I suspect to be ancestors of mine that are sadly unlabeled. However, hang on to those unidentified photos and don't give up hope. One day you might make the connection with a long lost cousin that will help you to identify that mystery person, connecting the face with the name. Christian Peder Pederson, a possible source of my daughter's cleft chin. The Murphy sisters: Ollie, Lue, Eva, Ora, and Flora.